This portable floating water shelter by artist and designer Daniel Durnin is inspired by urban waterways. Based out of London, Durnin designed this tiny wooden water shelter after observing the underused water canals present in his city. 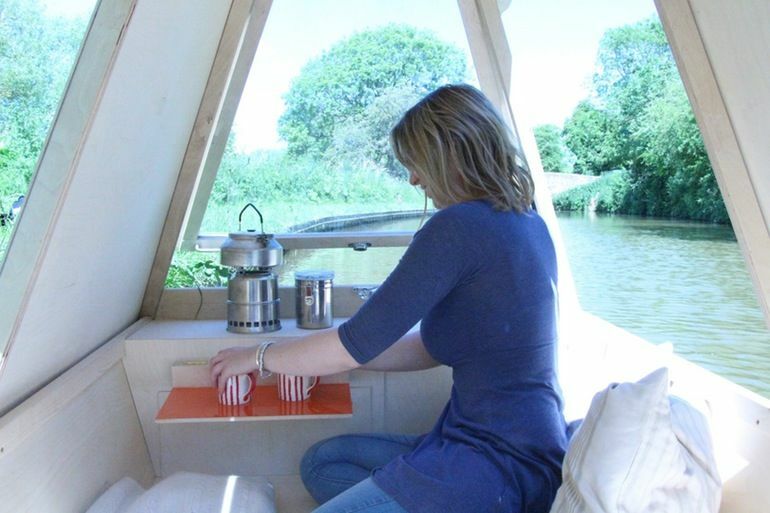 The ‘Waterbed’ is made from a combination of plywood, canvas, epoxy and aluminium and can easily be towed from place to place using an everyday bicycle. A mixture of camping and sightseeing, this tent-like design has large windows and provides a space for shelter both on and off of land. The minimal one-man shelter also features a comfortably cushioned interior — that can be used as a place to rest — and a foldout table that provides a space to eat.